Baseball gathers, and now our watch begins. 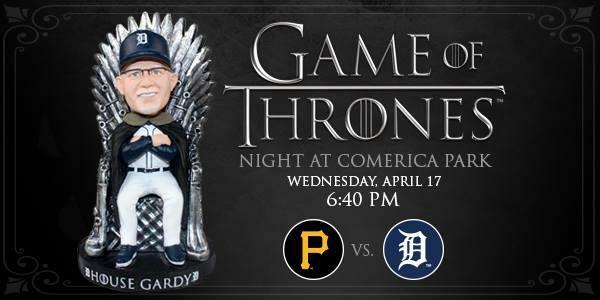 This #Tigers Game Of Thrones bobblehead is yours when you get your ticket package. Catherine are we doing game of thrones night per usual? Georgina, Paul… Not a bad freebie! 3.) Make the likeness of said product at least recognizable that it is of the purported player. This post checks 0 of 3 boxes.